Today, Green Street Academy asked the Baltimore City Public Schools Board of Commissioners to approve its application to become a charter school. More than 200 community members, parents, students, teachers and Board of Trustee members attended the public meeting to show support for GSA. The school board will make the decision at a second public meeting a week from today. Submitted in March, GSA’s charter application outlines the school’s infusion of project-based learning into itsschool curriculum. 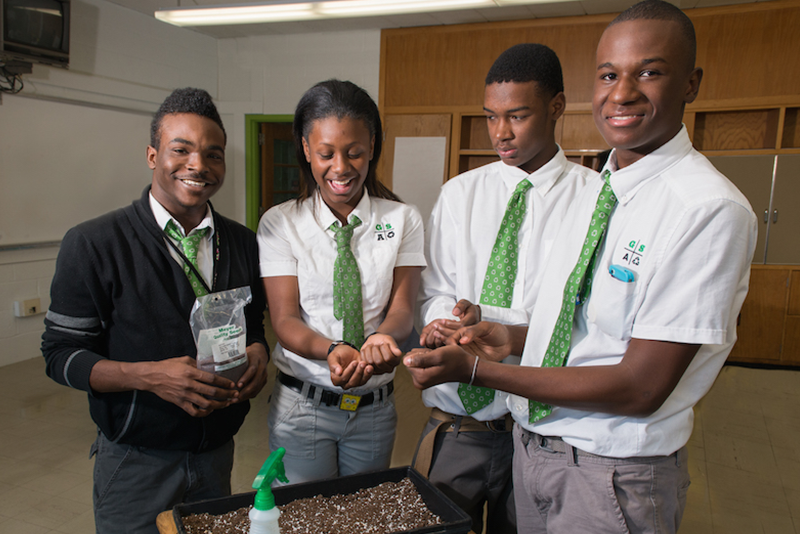 As a charter school, GSA will have greater flexibility to implement project-based learning, teach job skills in the green sector, and expand to a middle-high school serving almost 900 students. Today, GSA serves 325 students in grades 6, 7 and 8. GSA was founded in 2010 as a “transformation school,” an early initiative of former schools CEO Andres Alonso.